The question of whether Log Insight supports deployment on vSphere stretched clusters has come up multiple times in the last few months. As such, I figured I would cover it in this post. Read on to learn more! As I covered in the past, Log can be licensed per OSI or CPU. If you are using OSI licensing for ESXi then you may notice the same hosts are counted more than once. In this post, I will cover how to fix this issue. Read on to learn more! I recently upgraded from VCSA 6.0 to VCSA 6.5 and hit a few gotchas along the way — especially with the newly supported Mac installer. Read on to learn more! Like every release of Log Insight, the vSphere content pack — the only product content pack bundled out of the box — has been updated. Read on to see what changes you can expect! Log Insight is bundled in multiple ways today. 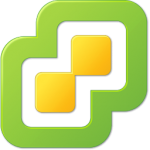 If you wondering if you are entitled to Log Insight with your existing VMware licenses then read on! As part of the vExpert community I was let in on a little secret recently — as of the next vSphere release the C# client will NO LONGER BE AVAILABLE. Read on to learn more!